Jamaica vacations are among the most popular in the world! Jamaica is a paradise waiting to be explored. Local activities and attractions are in abundance in Jamaica, very engaging, fun and informative. What's great about this island, aside from the luxury world-class resorts to accommodations that won't break the wallet, is that there is something to do for everyone. Kids can enjoy their time swimming with the dolphins, while the adults can take different island excursions, bike and 4WD adventures, historical tours or sightseeing trips to either Negril, Kingston, Ocho Rios, Montego Bay, Falmouth or Runaway Bay. The possibilities are endless, come and breath in the true Jamaican spirit. Read on our Jamaica travel guide! 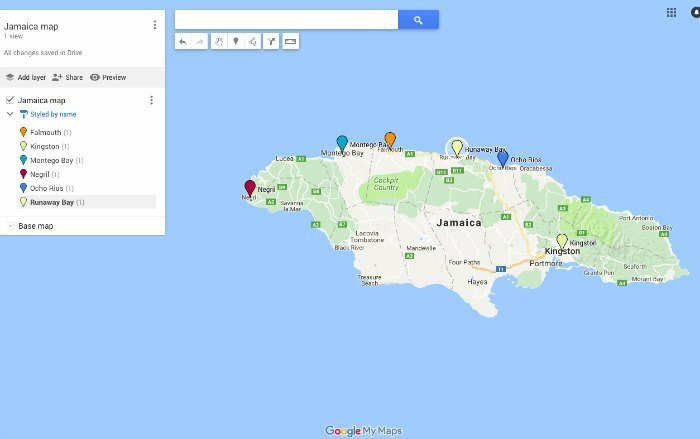 Here is a map that will help you plan your Jamaica vacation by selecting a vacation spot. Jamaica is a mountainous country with its' highest peak point of Blue Mountain. So if you are travelling here, Blue Mountain, situated not far from Kingston, is a perfect must-visit tourist destination. While walking the 23 km (14 miles) trail, you will be able to observe the island from high and above. Gorgeous view but a long 7-hour hike if done at once, so make sure you make all of the necessary arrangements to get there and back, as well as organize some nearby lodging. There is a great selection of nice and cozy accommodations including meals and very friendly staff. No matter what time of the year you take your Jamaica vacation, the island is always celebrating. Check out the Junkanoo festival in December, Bob Marley Week at the end of January until the beginning of February, a Carnival in April or a Reggae Sumfest that takes places in Montego Bay in late July. It's no wonder Jamaica should be at the top of your list of places to visit. Its' tropical climate is perfect, the beaches are impressive with crystal clear waters, perfect sunrises and sunsets, and the great Jamaican mountains are just inviting for a memorable experience. While here, do not forget to try the Jamaican cuisine. It's full of rich exotic flavour and all of the ingredients are fully sourced on the island. 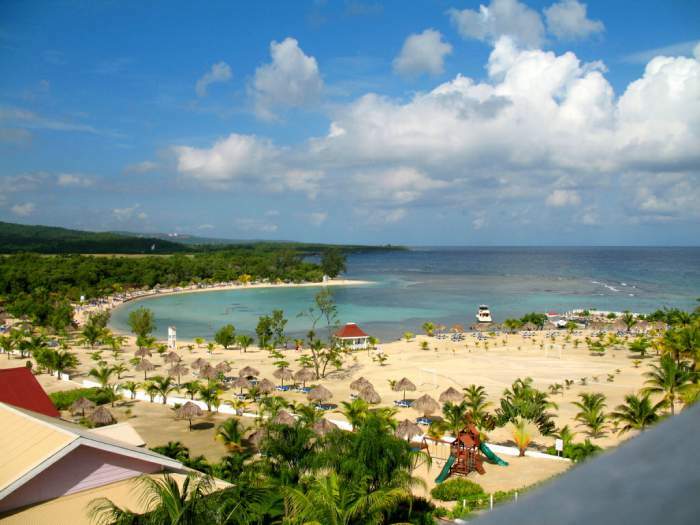 Montego Bay, the capital of St. James' Parish, by far is the most popular Jamaica vacation spot. It is the major cruise ship port, surrounded by gorgeous velvety sand beaches like Doctor's Cave Beach and Walter Fletcher Beach that have the most clean and beautiful waters. The locals call this fun and dynamic city "Mo Bay". It is Jamaica's second largest and most important city that is also the tourist capital. This magnificent city is home to a one-of-a-kind icy adventure playground that is called Chillin Games Room. Those that love snowboarding will enjoy their time here hitting artificial snow slopes. When you visit Montego Bay for your Jamaica vacation, you will discover a number of fun and unique attractions that engage family members of all ages. Water sports is one of the major and most popular activities in Montego Bay, and the choices are endless. There are cruises and sailing tours, snorkeling, kayaking, parasailing, tubing or rafting adventures, 4WD and ziplining fun, or sightseeing and culture excursions including the sampling of Jamaican succulent and delicious cuisine. Check out the Bob Marley Experience by visiting his birthplace, his house and even a mausoleum, discover what his life was like when he was becoming a star of Reggae music. Get close to the history by glancing at the hammock Bob Marley used to chill in, his herb garden and even the beat-up Land Rover that he drove around the island. 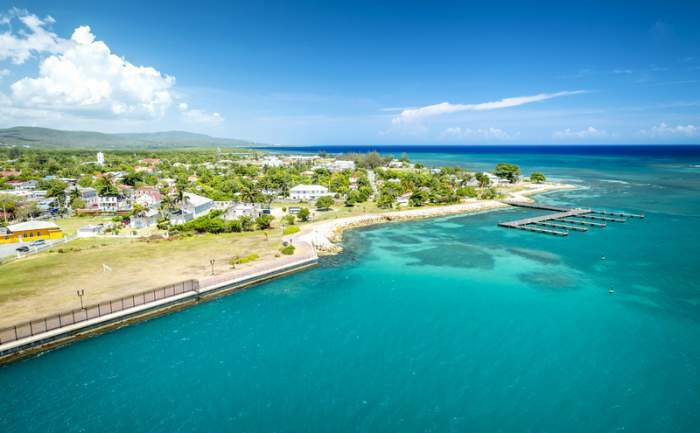 Tourists that come to Montego Bay for Jamaica vacations, will land at Sangster International Airport that is conveniently situated about 3 km from Montego Bay and accepts all international aircrafts coming from the United States, Canada and Europe. It is a short driving distance from all the major hotels, resorts, attractions and of course the cruise ports at Montego Bay, Negril and Ocho Rios. This very innovative airport also services domestic flights to Port Antonio, Ocho Rios and Kingston. Negril, another great Jamaican vacation destination is a more of a laid-back town that has the most beautiful, continuous white-sand beaches with calm aquamarine waters especially in the Seven Mile Beach. This beach has the whitest sand, the warmest water and the shallow areas can stretch far into the sea. The Seven Mile Beach is lined with a wide range of all-inclusive resorts, bars with the most entertaining nightlife and Jamaica's famous Reggae music, fine restaurants and top water sports. 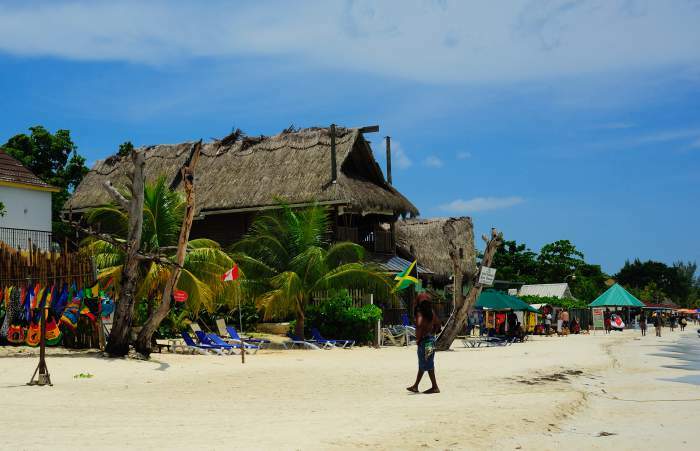 A variety of activities and attractions are in abundance in Negril. Although this perfect Jamaica vacation spot is more of a quieter and undisturbed place, it still offers the best and most exciting things to do. The choice is yours between sightseeing tours, horseback riding, nature and wildlife exploration, swimming with dolphins, 4WD and off-road excursions, cruises and tubing fun and sky high ziplining adventures. Half Moon Beach and Booby Cay Island offer the perfect sailing opportunities while the Royal Palm Reserve is the best destination for nature lovers that offers bird watching, fishing and extensive information on Jamaica's wildlife. Those passengers that are travelling to Negril, one of the best Jamaica's vacation destinations, will arrive at Sangster International Airport that is located approximately 1.5 hours of van shuttle north of Negril. Those that are coming from the United States, Canada or Europe will arrive here. If you are travelling further and are not planning on staying in Negril, then selecting one of the airport's domestic flights or hiring a taxi or a bus is another option to get to your final destination. Many years ago, Ocho Rios used to be a fishing village, and now with each year it is becoming more and more popular Jamaican vacation destination. It is located on Jamaica's north coast and is surrounded by Saint Ann's parish that is home to streamy rivers, ravishing waterfalls and a luscious rainforest. Not only Ocho Rios is an entry port for cruise ships, it also services cargo ships loading local limestone and sugar for export. Even though this beautiful town is still developing to fit the tourists' needs, it offers the best attractions that are fun, informative and fascinating as you get closer to the nature. Ocho Rios has many all-inclusive resorts, excellent shopping opportunities and endless possibilities to look deeper into the Jamaican culture. Visit a Columbus Park which is same park where Columbus first came. Historical artifacts and Spanish colonial buildings are a must-see attraction for those that want to plunge into the Jamaican history more. Ocho Rios is famous for its' rich vegetation and many majestic waterfalls, so the best way to experience this beauty is by visiting the Shaw Park and Waterfalls, Island Gully Falls, Konoko Falls and Park and the famous Dunn's River Falls surrounded with lagoons and gorgeous trees. While on Jamaica vacation in Ocho Rios, booking a camel or a horseback riding tour, encountering with the sharks or taking your kids to the Dolphin Cove to meet and greet the dolphins are the best way to closely interact with the local animals. Cruises and sailing and shore excursions are also a great choice if you want a laid-back enjoyment of the sea and the beaches, or for a more active outing take tubing, rafting or ziplining adventures. Get behind the wheel of a 4WD or simply hop on a bike to explore the rainforests and the bedazzling beaches of Ocho Rios. Tourists coming to Ocho Rios, one of the top Jamaican vacation destinations, will be landing in Sangster International Airport, that is located approximately 1.5 hours away from Ocho Rios. Passengers that choose to stay at an all-inclusive resort will receive a complimentary transportation through their hotel representative after landing at the airport and those that do not, can either hire a taxi, take a shuttle bus or rent a car, depending on where they are travelling to. Sangster International Airport also services domestic flights to Ocho Rios, so getting to the town is super easy. Kingston, the capital and the largest city of Jamaica that lies on the south eastern coast of the island is one of the best Jamaican vacation destinations that a lot of visitors choose when they come here. Kingston is home to the seventh largest harbour in the world and holds Jamaica's largest port namely Kingston Container Terminal. Kingston is divided into two parts: the historic Downtown and New Kingston. This is the ultimate spot to experience the true Jamaican traditions, cuisine and the island's vibrant life while it boasts with culture and the tropical flavors. Kingston is a perfect Jamaica vacation spot if you truly want to experience the real city life and the history of the island and its' inhabitants. Although the city of Kingston is the center of all government and business operations, the resort area of the capital offers some of the top activities and historical tours that allow tourists to take a very close look at Jamaica. Visit the Devon House, which is one of Kingston's famous historical museums. Not only it offers captivating historical tours, you can also try the city's best ice cream, pastry and delicious Jamaican cuisine there. Choose from a variety of options of things to do in Jamaica such as sightseeing tours, water sports, biking or walking adventures, visit the Hope Gradens, Orchid House, Coconut Museum and much more. And even if you are not staying or travelling to Kingston, this colourful city filled with reggae music is a must-visit place while on Jamaica vacation. Visitors that choose Kingston as their primary vacation spot in Jamaica, will arrive at Norman Manley International Airport, that is located about 30 minutes drive from the center of Kingston, and services all international flights from United States, Canada and Europe. From there, passengers have an option of either hiring a taxi, taking a bus, renting a car to travel to other places on the island or simply take one of the available flights that Kingston's local airport offers. It only serves domestic aircrafts and will get you to the destination of your choice in no time. Falmouth, a true paradise with the Caribbean best-preserved local treasures is another Jamaican vacation spot that tourists choose when vacationing on the island. 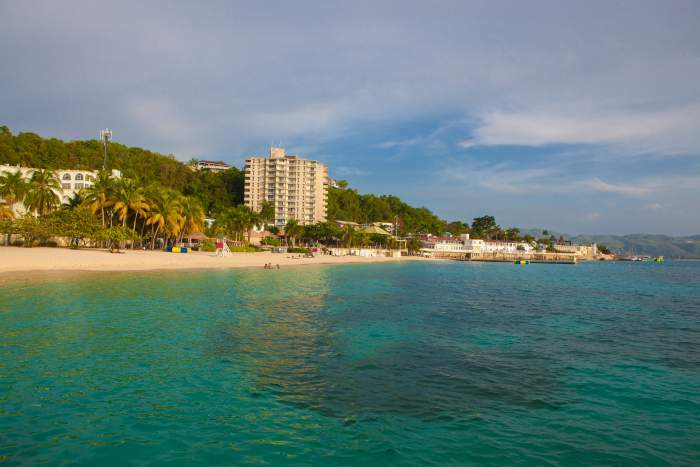 Falmouth, the capital of the Parish of Trelawny, is located on the north coast of Jamaica between Montego Bay and Ocho Rios and its' beaches are marvelous. Visiting Falmouth wouldn't be complete without tasting one of the more than 300 jerk recipes that are made locally. Lobster, beef, pork and even jerk shrimp are the signature delectables of this cozy town. Falmouth has the best leading attractions and tourists have countless opportunities to get to experience the beauty of this fabulous Jamaica vacation spot. Series of activities that will capture the heart and soul of any visitor will make your vacation a perfect one. Go on a horseback riding tour through two of the island's former sugar plantations, discover the local culture and traditions, go tubing or kayaking on romantic and adventurous rides on the Martha Brae River, engage in numerous water sports like sailing, cruises, water and shore excursions and don't forget the outdoor fun of sightseeing, biking, hiking and exploring. Arriving at Falmouth, n is easy as the local cruise port welcomes cruiseship passengers on a daily basis. Falmouth is located about 32 km (20 miles) from Montego Bay so it's accessible by a bus or a taxi car. If you prefer a faster way to get to Falmouth, Kingston's domestic airport offers direct flights to this town. Runaway Bay, a quiet Jamaican vacation spot, is a perfect getaway for those who are looking for a more of a laid-back and peaceful vacation. Runaway Bay is a town in Saint Ann Parish and is located on the northern Jamaican coast. This paradise is about 16 km (10 miles) west of Ocho Rios and has the most stunning beaches that see less tourists than other neighbouring vacation spots. This is the ideal place to enjoy the harmonious and calm atmosphere in the town's all-inclusive resorts. Once you come to Runaway Bay you will see there are almost no pushy street vendors, but there are uninterrupted white sandy beaches with the most warm crystal clear waters, less crowds of tourists and a slice of real paradise waiting to be explored. Runaway Bay provides some of the top all-inclusive resorts suitable for families, adults and couples-only. The tradition of elegance and the beauty of nature this magic Jamaica vacation spot encompasses, gives the perfect vibe to never want to leave. The attractions are limited compared to Montego Bay, Negril, Ocho Rios or Falmouth, but still are fun, captivating, thrilling and engaging. If you travel to the nearby Seven Mile Beach, you will be able to take a tour to Bob Marley home that is also a museum and a mausoleum. For a more active adventures, choose cruises and sailing tours, hiking, biking or walking excursions to explore the inspiring surroundings, gorgeous trees, flowers and exotic animals and birds. Go snorkeling in the serene and calm waters of the Caribbean sea or simply enjoy your favourite cocktail on a quiet beach overlooking the palm trees and the turquoise waters. If you are travelling to the Runaway Bay, you will be arriving at Sangster International Airport located in Montego Bay, and from there you can either hire a taxi or a bus that will take you to Runaway Bay in about 1.5 hours time. Some drivers stop on the way at Ocho Rios or to make bathroom and water stops for the passengers, so be patient and give yourself some time for this trip. The best time to visit Jamaica is from November to mid-December. This is the perfect opportunity to enjoy the pleasant weather with clear blue skies with the temperatures ranging from 24 to 29 degrees Celsius (75 to 85 degrees Fahrenheit). Tourists like to vacation during this time, because the hurricane and rainy season is over and the off-season rates are significantly lower especially if you use value-oriented packages. Jamaica hosts a number of exciting festivals and celebrations throughout the year, so no matter when you are going on Jamaica vacation, there is always a hosted event. If you are vacationing here in December, do not miss the Jonkanoo parade. Unfortunately, it is a dying tradition, but Jamaicans are doing their best to keep it up and pass it along to their offsprings. While the costumed participants walk along the Jamaican streets, those that are brave to join in will receive treats. This is the perfect time to dance, eat, sing and dive into the local traditions. Jamaica is the third-largest island in the Caribbean, and its' capital city Kingston is the largest English-speaking city south of Miami. Jamaica is 242 km (146 miles) in length and approximately km (21-52 miles). 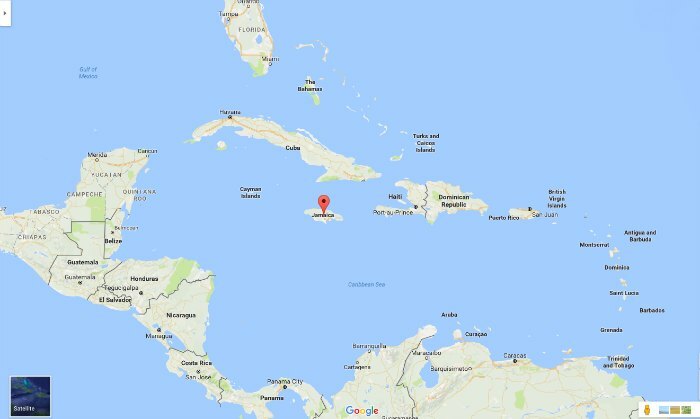 It is located 537 km (334 miles) west of Haiti, and 383 km (238 miles) south of Cuba. Kingston is the capital and the largest city in Jamaica. It is located on the south-eastern part of the island with a population of approximately 90,000 in 2016. If you long for a taste of the real Jamaican life, Kingston is worth a visit. It is divided into two parts, one of the neighbourhoods is being controlled by gangs and is situated far away from the tourist's eye, while the other part of Kingston is a vibrant and lively city with government offices, museums, theaters and historical sites located in the core of the business district. Thousands of people love to visit the capital during their Jamaica vacation, after all it's Jamaica's heart and soul, where you get to feel the true Jamaican spirit, taste its' mouth-watering but quite distinctive cuisine, and hear a lot of reggae music on the streets. There is a lot of interesting and fascinating things to see in Kingston. For reggae music fans, visiting the Bob Marley Museum is a must. If you love exploring, take one of Kingston's sightseeing, cultural or even bike excursions, where you will learn about the history behind this iconic city. Pay a visit to Fort Charles, that was built in 1655, and is mostly surrounded by water, or Port Royal, which is a village built in 1518 and was once considered to be the largest city in the entire Caribbean region. Book a tour of your choice and preference, and you will experience what Jamaica is truly all about. The population of Jamaica in the year of 2016 is calculated at 2,982,908, making it the third most populous country in the Americas after United States and Canada and the fourth populous in the Caribbean zone. Religion plays a very important role in the life of Jamaicans and most of the population's faith, about 80%, is Protestant Christianity. Within this category it includes denominations such as Seventh-Day Adventist, Church of God, Baptist, Anglican and Pentecostal. The rest of the Jamaican inhabitants are muslims, Buddhists, Jews, Hindus and Rastafaris. Rastafari is the most prominent non-Christian religion on the island. It dates back all the way to 1930s and has its' own beliefs such as males are not allowed to comb their hair or beards, their hair should be done in dreadlocks and one should nurture the inner spirit of another. Not everyone believes in all of the things this religion professes, but it sure spread out to many other countries in the world making it very popular. English is the official language in Jamaica and it is the language of instruction used in all government, media and education purposes, so you won't have any problem communicating during your Jamaica vacation. Although most Jamaicans can understand, speak and write in Patios, which is form of a Creole dialect, the official language still remains to be English. Patios is a combination of English and African languages and is widely used across the island especially in all urban areas and Jamaican's famous Reggae music. Hearing a Jamaican local speak either English or Patios is a delight, as their speech has a melodic rhythm to it, that is quite distinctive from other nationalities. Getting to Jamaica is very easy as most international carriers fly to the island. If you are coming from North America or Europe on your Jamaica vacation, catching a flight from major cities is not a problem. Jamaica has two airports that welcome passengers from all over the world, namely Norman Manley International Airport and Sangster International Airport. If you are planning to travel to Kingston, Port Antonio or visiting the one of a kind Blue Mountains, then you would need to book a flight to travel to Norman Manley airport which is located about 17 km (11 miles) from Kingston. If you need to travel further to get to other places on the island taking a taxi, a bus or even renting a car at the airport are the options available to you. Kingston's domestic airport offers a selection of flights to get to where you need to go as well. Since most travellers come to Negril, Montego Bay and Ocho Rios, the best port of entry would be Sangster International Airport that is located 3 km from Montego Bay and is able to handle 9 million passengers each year. This airport was designed for both international and domestic flights, that depart to Kingston, Ocho Rios and Port Antonio. Jamaica is a popular vacation destination for those that are getting here by cruise liners or even private yachts. 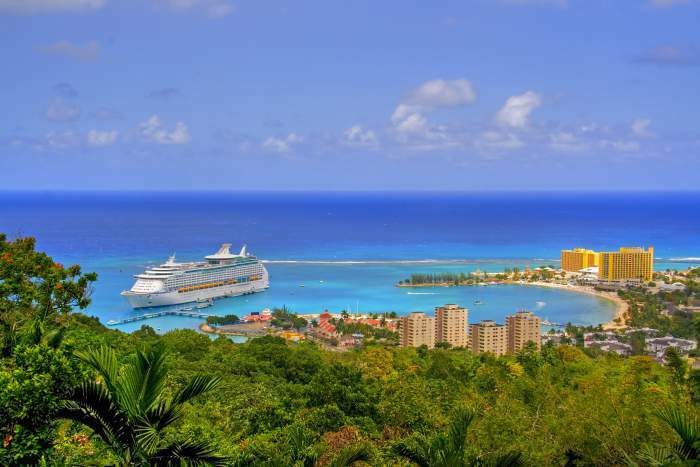 Some of the most popular ports of destination are Montego Bay, Port Antonio, Kingston and Ocho Rios. If those options are of interest to you, inquire about them with your travel agency for prices and schedules. Ian Fleming International Airport that is located in Ocho Rios is a new addition to Jamaica, but was designed for small aircraft only coming from the north coast. Once you leave the island after your Jamaica vacation, there will be a departure tax collected at the airport. In most cases it is added to your plane ticket, but in case it was not, either Jamaican or U.S. dollars are accepted for payment, credit cards are not. Whether you want to savor that perfect ocean view while looking outside of your luxury hotel suite or enjoy some of the best resort amenities, the vast selection of accommodations in Jamaica are suitable for any taste, preference and budget. Tourists have a choice between high-end all-inclusive resorts (what Jamaica is famous for), adults-only or family-friendly resorts, low-cost guest houses, hotels, condos or villas for rent. Montego Bay has the best options of all-inclusive resorts with some of the top-notch amenities. Aside from the chic all-inclusive resorts in Runaway Bay and Ocho Rios, there are also some of the finest villas to stay in during your Jamaica vacation. Tourists love Negril for its' many family-friendly or couples-only all-inclusive resorts as well as its' magnificent beaches, crystal clear waters and light tropical breeze. 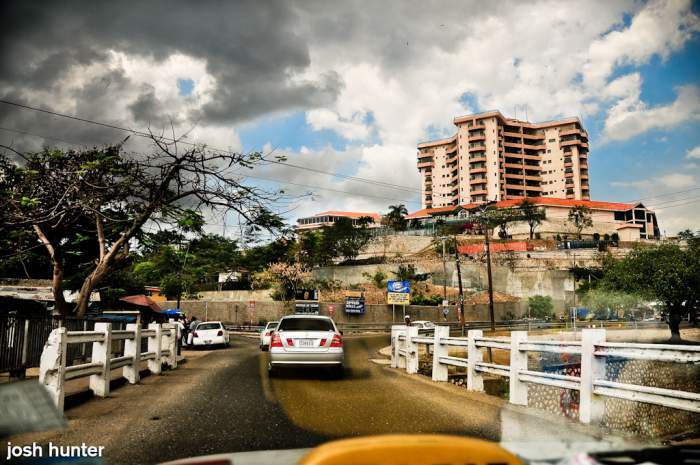 While the capital city of Kingston does not offer any luxury all-inclusive accommodations, it gives a perfect choice of hotels for those that come to Jamaica to conduct business. Most of the hotels are located near the financial/business district, allowing its' guests to be in the middle of it all and close to all of the necessary amenities. Jamaica enjoys tropical climate, and just like all other Caribbean destinations, the weather on the island stays hot and humid all year long. Jamaica's high season runs from the middle of December to mid-April, but the island sees the largest amount of tourists from January to late March, those that come here to enjoy time off work and school. Temperatures during this time are between 21 to 31 degrees Celcius (70 and 87 degrees Fahrenheit), and humidity levels are high. This is the time when your Jamaica vacation can become expensive and tourism is at its' best and highest point. Jamaica lies under the hurricane belt, and July through November are the months prone to tropical storms that can be hitting the island for days. Tourism slows down during this period, but hotel rates become very attractive for those who are on the budget. However, the best time to visit Jamaica is from November to mid-December. This is the perfect opportunity to enjoy the pleasant weather with clear blue skies while the temperatures ranging from 24 to 29 degrees Celsius (75 to 85 degrees Fahrenheit). Tourists like to go on Jamaica vacation during this time, because the hurricane and rainy season is over while the off-season rates are significantly lower especially if you use value-oriented packages. Jamaican public transportation consists of buses or minibuses that are easily identifiable. All public transportation vehicles that are licensed to carry passengers have red licence plates with a letter "P" followed by 4 digits. The bus system is more efficient in the capital city Kingston, and buses take their passengers almost anywhere on the island making frequent stops. Although bus fares are very low and affordable, a choice of taking a bus during your Jamaica vacation is not the best decision. Buses get crowded, some of them are not air-conditioned, and even though it is not allowed for buses to stop in areas not designated for a bus stop to pick up/drop off passengers, some drivers do not follow this rule and try to get as many people onboard as possible. In areas outside of Kingston and Montego Bay, bus operations vary and it might be difficult to catch a bus at a time convenient for you, as they do not run on a schedule at all and wait time can take forever. If you are very inclined to tour the island on a local bus, then you would need to take a taxi to one of the major Jamaican cities, as all bus terminals are situated there. Another option is to take a shuttle bus that your hotel/resort might offer. Hiring a driver during your Jamaica vacation is another option to get around the island, but this type of transportation could be risky, as well as expensive. You really need to be sure the driver has proper driver's licence and will not trick you with travelling costs. Not all taxis on the island of Jamaica are metered, so before starting your trip be sure to agree on the price with the driver. Taxis can become expensive, but if you share the trip with other people the cost split between the passengers can be fairly affordable. Those taxis that are licenced have red "PPV" licence plates, others do not. Renting a car can become quite expensive in Jamaica, so if you are taking the all-inclusive Jamaica vacation package, inquire about transportation with your booking agent or the hotel representative. A lot of times hotels/resorts provide free bus shuttle services for their guests. For those that have second thoughts whether or not to rent a car in Jamaica, should take into account some of the things that might occur while driving. Driving in Jamaica is on the left, British style and in some places roads are not in best condition at all, they have many obstacles like curved and unexpected turns, potholes and uneven pavement, bikes, mules, goats, cows, chickens, other drivers and people walking everywhere since there are no sidewalks. Drivers do not pay any attention on the roads and some road rules are not even followed, although a lot of them are enforced with frequent police checks. A lot of drivers tailgate or suddenly stop in front of you, so newcomers on Jamaica vacation always be alert while driving. Car insurance is mandatory and costs can become significantly high. Most foreign car insurance policies are not valid in Jamaica, so some car rentals do not take insurance included with your credit card, it should be purchased separately. There is also a deposit that is applied to your credit card that car rentals hold until the return of the vehicle, and that can cost as much as $2,000. Lastly, always check the vehicle before driving it off the lot, it can have scratches, dents, or no extra tires, which you will be responsible for after, even if you didn't cause any damage. The official currency in Jamaica is the Jamaican dollar. Travellers on Jamaica vacation are able to use both the US and Jamaican currencies as well as major credit cards throughout the island. Some gas stations, small markets and local cafes might require cash only to pay for their services, so be prepared to have the money handy. For those that need to withdraw cash, ATM machines are available across the island and dispense both US and Jamaican dollars. Many of the all-inclusive Jamaican resorts have a very strict policy on tipping. Once you pay the all-inclusive price, tipping the service staff is not required, rather prohibited, and consequences for the employees who do take money or gifts from guests can be very serious and can even result in losing their jobs. Please check with your hotel on their rules and the tipping policy prior to booking your Jamaica vacation. However, a lot of places like hotels and restaurants add a service charge of 10% to their bills, in those cases tipping extra is at the guest's discretion, and only if they are extremely satisfied with the service received. Carefully inspect your bill, and if no service charge was added, a 10%-20% gratuity is required. Please keep in mind that the "service charge" is an internal charge of the specific place and has nothing to do with the servers. If the place allows for tipping and you would like to pay your respect to one of the service staff members that assisted you, please do not hesitate to provide them personally with a tip (aside from the service charge on your bill). Bellhops that assist you with your luggage in the hotels and airports expect $1 for every bag they help you deliver, taxi drivers normally receive 10%-15% in tips, and housekeeping maids, provided the resort allows it, usually receive $1-$2 per day. To make sure your gratuity gets to the specific maid, pay the tips directly to them, do not leave it on the bed or table. Non-monetary gifts of things that are hard to get in Jamaica are also appreciated. Even though there is mass tourism in Jamaica and it offers some of the most incredible experiences and attractions to its' visitors, it still is a very poor country for those that live there. The residents of Jamaica try to survive any way they can and most of them become vendors that sell handmade goodies or offer services like massages, hair braiding, tour guide and others. Some of the vendors can become too pushy and will do everything they can to attract you to their hut. If you are not interested in purchasing, be polite but firm, say "no Thank You" and continue with your trip. There are also beggars on the streets waiting for handouts. Feel free to contribute, but you must know, you are not obligated to do so. Tourists on Jamaica vacation should be very cautious of locals providing transportation services on their mopeds or boats. It is common, that they will drive you one way and demand extra money for a "return ticket". Best to use taxis that your hotel or resort recommends and that have a good reputation on the island. To some visitors, these things can be annoying; however, if you take a moment to consider the poverty the country experiences and why its' residents are forced to make money this certain way, you will understand, that it's not a choice, but rather a necessity. Tourists are advised to exercise caution and take all the regular security measures while vacationing in any country in the world, Jamaica is no exception. However, since property crime can become a serious problem here, travellers need to keep their belongings with them at all times or lock them up in a hotel safe. Of course, it is best to leave all your expensive items at home, no need to be flashy and attract unnecessary attention. After all, it is a Jamaica vacation, relax and enjoy your time off. Always lock your doors and balconies when leaving the hotel suit or villa. And for those that rent cars while staying on the island, it is strongly recommended to take all your items with you. If you are leaving the vehicle, roll up the windows and make sure the car itself is locked. Once you arrive to Jamaica, the best way to protect yourself and have a worry-free vacation is to exercise common sense and stay away from dangerous areas. In most of Jamaican regions tap water is safe to drink. It can be freely used to shower, brush your teeth and even cook. However, if you find yourself in more deserted rural areas during your Jamaica vacation, it wouldn't be advisable to drink the water unless it is boiled, chemically disinfected and treated. In that case, take a bottle of water with you from your hotel or purchase one at a nearby shop. As well, be extra cautious of street vendors selling ice. And unless you are sure the water is pure and clean, do not drink it. Electrical sockets in Jamaica are the same as those in the United States and Canada, so the voltage is between 110-120 volts, with the 50 cycles. However, North American frequency of the power supply is 60 cycles, so some of the electrical appliances might not work properly in Jamaica. For example, a clock will work but might not show the correct time or the hairdryer will function somewhat slower than regular. Other visitors, from Europe, for example, will need voltage converters and/or transformers in order to be able to charge and use their devices and electrical appliances properly. Although, some hotels or resorts might offer their guests 220-voltage plugs or shaver outlets, it's best to prepare for your Jamaica vacation in advance and purchase all the necessary voltage equipment in your home country.